Looking for an alternative V-Day card? 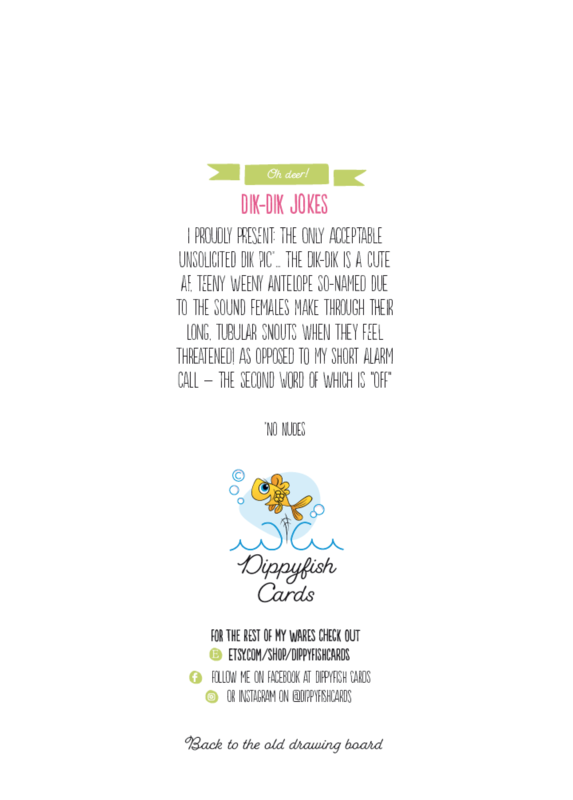 Whether it’s an unsolicited Dik-Dik pic or you need a subtle way to tell someone you’re crazy for them, Dippyfish has you covered. Amelia, what’s the story behind your Valentine’s Day collection? As it was, he dumped me about a week before Valentine’s Day – something which happens to me a lot for some reason. So, I never got to send it to him. I was gutted, and more gutted that I couldn’t send the card. 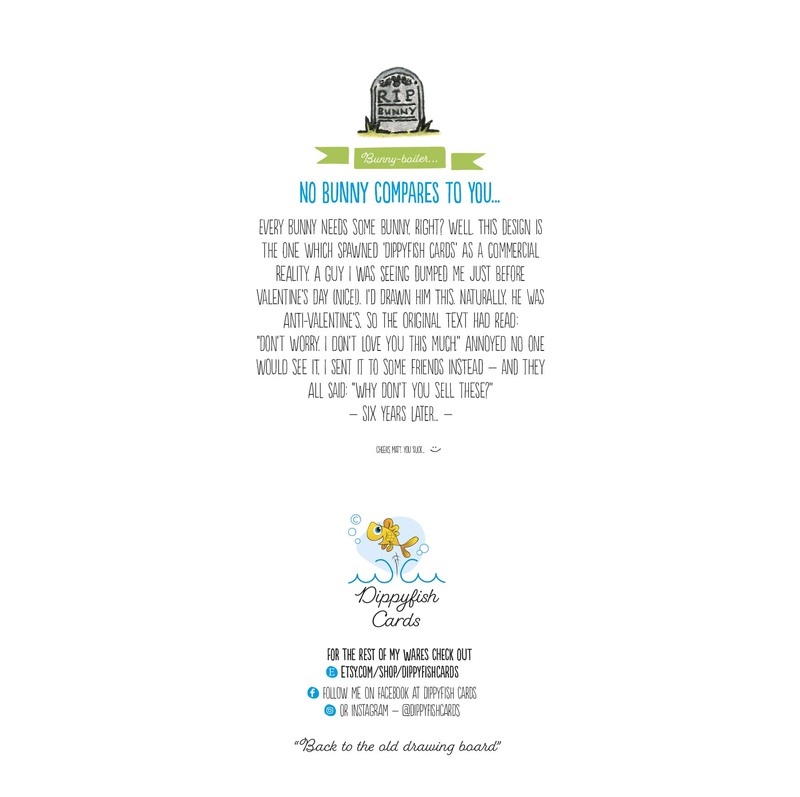 Where’d you get your inspiration for these hilarious cards? “Things like that (and my slightly warped, inappropriate sense of humour, in combination with my love of a good pun/song lyric) are possibly why a lot of the cards have a little bit of an edge. But you know, despite being a career singleton, I’m a romantic at heart (Super-Like is from a relationship of a more recent vintage. I’ve been out with nicer people since that particular guy). Ultimately, I love celebrating other people’s relationships (and glorious life events in general) even when I don’t have a significant other, or anything going on myself. Solace in illustration… Selfless ain’t it. I’ll probably be sainted. “Anyway, I like the idea that a lot of these are a little ambiguous. Which means you could send them to your significant other whatever flavour they are. I like the idea of universal greetings. It’s very pro-humanity. 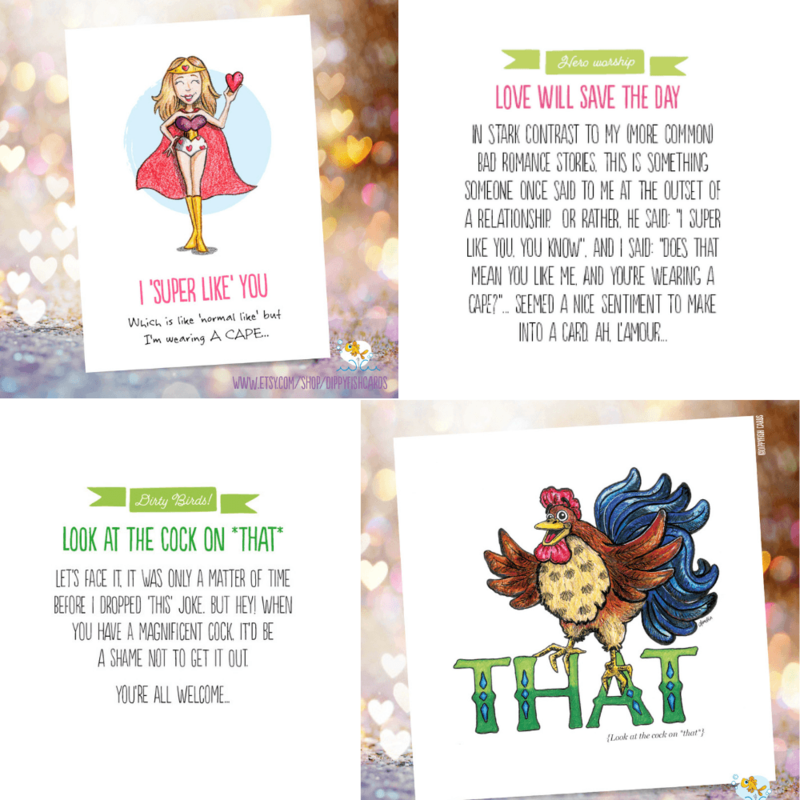 Inspired to create your own V Day creations? Why not show us what you create over on social media and tag us using #ProudlyPrinted? We love seeing your designs! Ready to hit the presses? 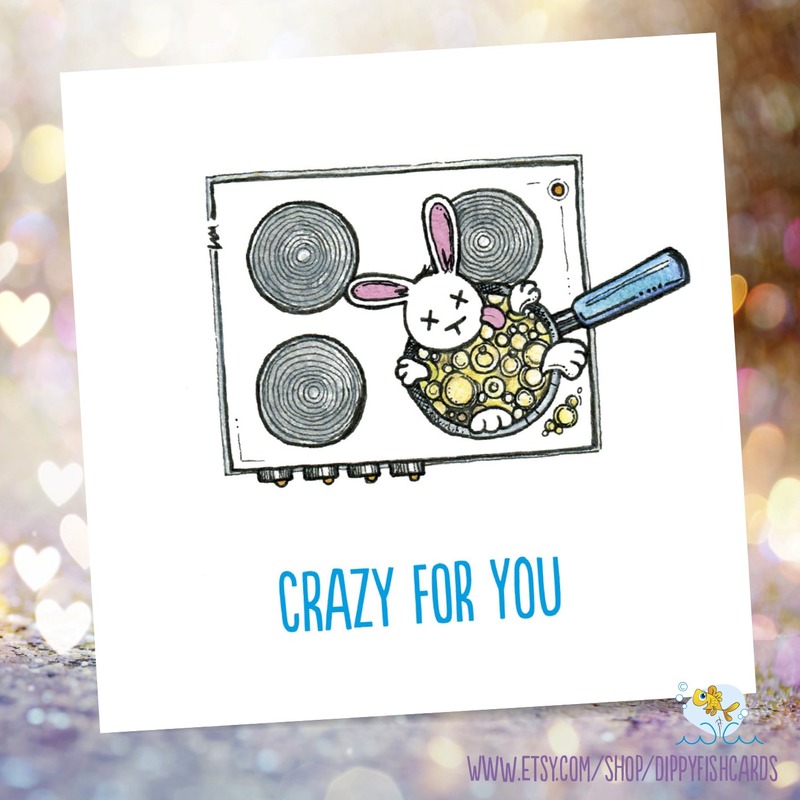 Explore our huge range of Greeting Card options – from the textured and tactile like Dippyfish uses above, (her cards are printed on the ‘watercolour paper-style’ Gesso stock, which maintains the hand-drawn feel of the original artwork) to a touch of foil, we’ve got you covered no matter your style. 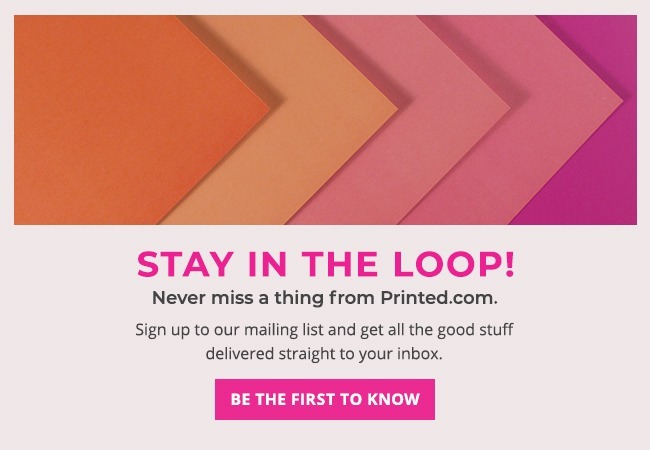 This week our #ProudlyPrinted series is bringing you a serious dose of fun stuff.